Fresh local produce, handcrafted wines, a rich history and breathtaking views of the Barossa Ranges. 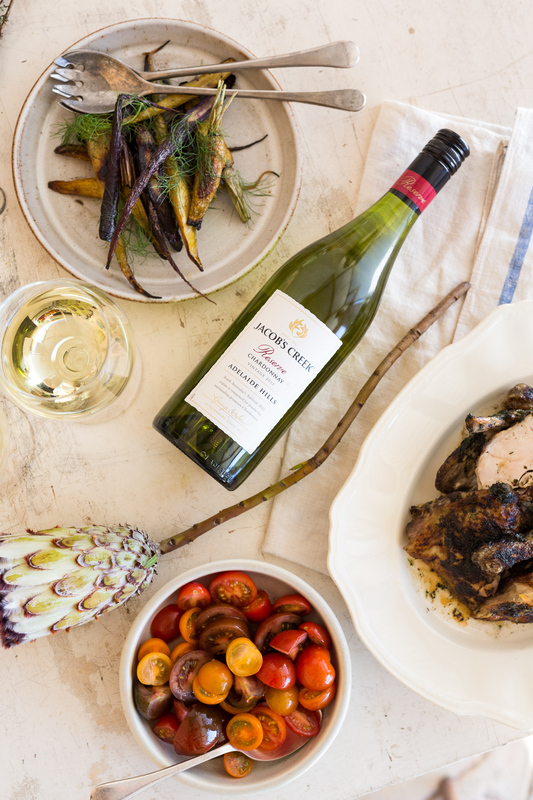 Jacob’s Creek offers a range of unique sites and experiences featuring seasonal produce grown locally or picked fresh from our Kitchen Garden. Our sites can accommodate small to large groups for team building activities, conferencing and beautiful dining experiences. 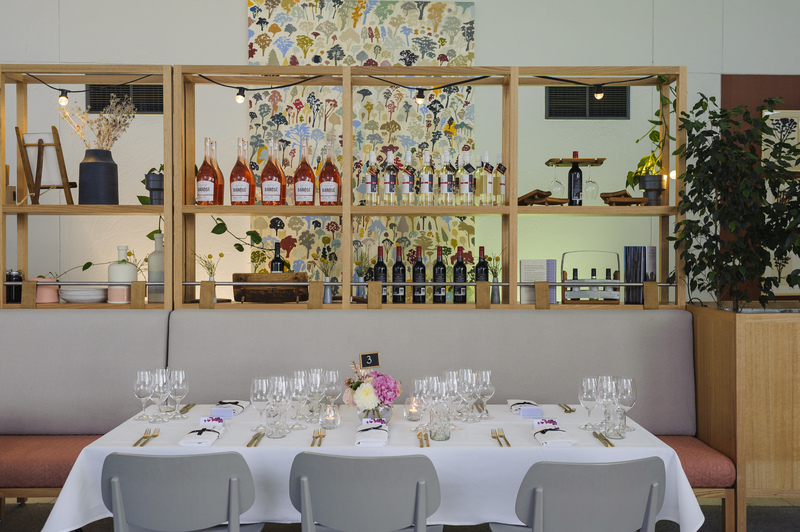 Set on the banks of picturesque Jacob's Creek, we offer a range of unique food and wine experiences. Begin your evening with a glass of wine and canapes on our lawn over-looking the Barossa Ranges. Enjoy lawn games, relax on our bean bags and have a friendly hit of tennis. Stay and enjoy the sunset with a causal roaming dinner or move into Our Table Restaurant for a set dinner with matching wines. Experience Barossa culture with our From Garden to Plate Cooking Challenge. 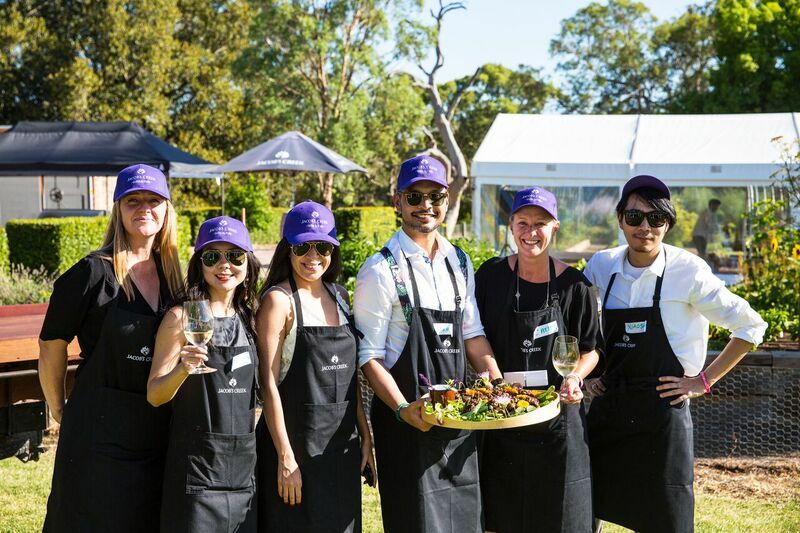 Led by our talented chefs, corporate groups can engage in the ultimate team bonding activity the Barossa has to offer. Teams have one hour to take their recipes and transform them into culinary delights. Upon the sound of a starting gun, contestants race into our Kitchen Garden to harvest their fresh produce and gather their small goods. The chopping, mixing and grilling begins in a frantic flurry as each team strives to create their master piece. At the end of the challenge, the dishes are judged and the winners announced. Teams have the opportunity to enjoy their creations and share their experience over a glass of wine in the beautiful surrounds. This challenge is the perfect way to engage everyone in an exciting and hands on activity that is truly unique to the Barossa. On the site we call the “Heritage Vineyard” Johann Gramp planted his first vines on the banks of Jacob’s Creek in 1847 and thus began a tradition of wine making over 165 years ago. His original winery and homestead still stand today overlooking where he planted his first vineyard and the world famous Jacob’s Creek. The buildings have been fully renovated to provide a tranquil conference space and a high end dining site tucked away in the foothills of the Barossa Ranges. Jacob’s Estate offers a unique and memorable dining experience. The beautiful and historic ruins built by William Jacob in the 1840’s, provides a charming room with a fire place and breathtaking view overlooking the Kitchen Garden. The site offers a peaceful and relaxing atmosphere in an exclusive one of a kind location. Host your own special occasion set in a stunning location with sweeping views of vineyard and the Barossa Ranges. We can accommodate small to large groups for private lunches on our terrace or Our Table - a 15 metre wooden table set in our sensory garden. Our venue is ideal for birthdays, Christmas events, anniversaries, whatever the occasion may be we will work with you to create the perfect event.